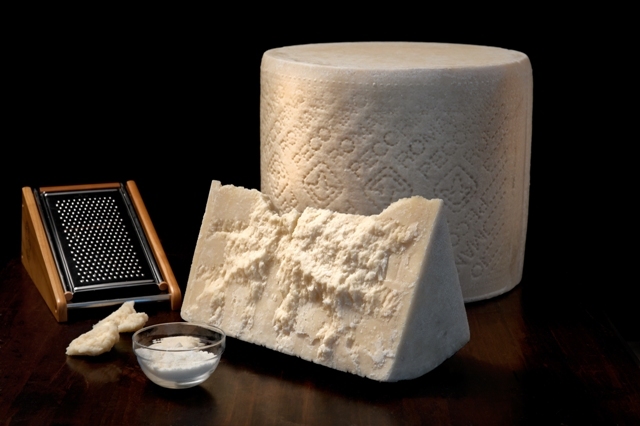 Pecorino Romano DOP is produced exclusively with sheep’s milk coming from farms within the production area. 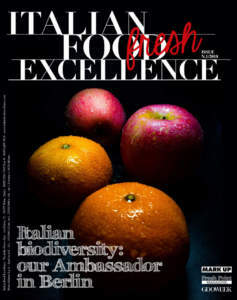 It is produced in Sardinia (90%), Lazio and Tuscany, in the province of Grosseto (10%). The whole period of production is from October to July. It has a hard texture and its rind is thin, straw-yellow in colour and can have a black or natural-colour coating. Its texture is compact or with tiny holes while colour ranges from white to straw-yellow with a typical aromatic taste. At the end of 5 months of maturation the table cheese has a slightly piquant taste, which enhances with maturing: that is why after 8 months of maturation time, the cheese is perfect for grating and its taste is intensely piquant. The forms are cylindrical and may weigh between 20 and 35 kilos. Its top characteristics are better preserved if kept in a dry and cool place or inside the fridge, on the lower shelves, preferably wrapped in a cotton cloth. In order to realize its full aromatic potential, it needs to be taken out of the fridge at least half an hour before eating. The table cheese marries well with fresh fruits, figs, sweet honey or fruit jams, as well as with traditional breads and cold meats, accompanied by a well rounded, full bodied wine. 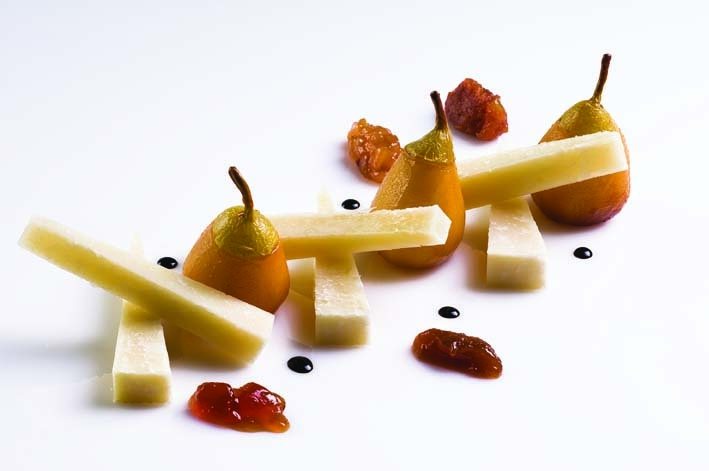 The cheese for grating is the ideal ingredient for the preparation of sauces or for particularly savoury pasta dishes. Sheep’s milk is highly nutritious as it contains a consistent quantity of calcium and twice the amount of proteins contained in cow’s milk; it’s also rich in fat-soluble vitamins A and E. Therefore, the basis of Pecorino Romano DOP is the outstanding quality of the sheep’s milk used to produce it, together with the large experience of the cheese makers. 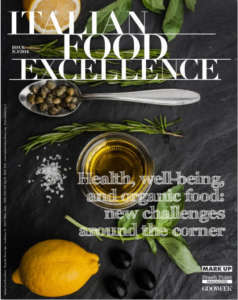 Pecorino Romano DOP is a great source of proteins with a high biological value, calcium in an easily digestible form and vitamins B1, B2, PP, A and E, which are particularly important in children’s growth and provide a valuable energetic support for sports people. Its excellent nutritional properties make Pecorino Romano DOP a perfect element of a modern and balanced diet, being a fine source of energy and extremely digestible. In matured sheep’s cheese lactose is transformed during maturation: for this reason it can also be eaten by people who suffer from lactose intolerance. Sheep were already being bread in Mesopotamia 10 thousand years ago and their milk transformed in cheese: the first bas-relief showing the stages of the production of Pecorino was Sumerian and dates back to the third millennium B.C. Its production is also described in ancient Greek mythological tales, and the Romans were great producers and consumer of Pecorino. Pecorino Romano DOP descends directly from the sheep’s milk cheese which was at the base of the Roman’s diet throughout the Empire. History tells us that more than 2 thousand years ago, in ancient Rome, the same Pecorino cheese that we eat today was an important ingredient in everyday meals but also during feasts at the Emperor’s palace. In 48 B.C. Virgil described its nutritional and energetic properties, and said that the daily ration assigned to every Roman soldier was of 27 grams per day. This portion was in addition to their basic meal, emmer soup, and gave them the right amount of energy to face up to the battles and the continuous movement of troops all over the known world. 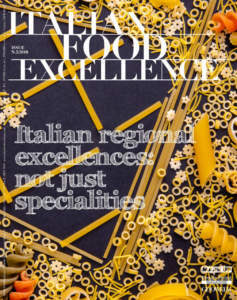 Thanks to its nutrional properties and the easiness with which it can be transported and stored, Pecorino Romano soon became very popular and, over the centuries, transformation techniques spread from Lazio to Tuscany and most importantly to Sardinia, where most of Pecorino cheese is today produced. These territories are highly suited for the production of this cheese, because of the intense aromas of the land, the favourable climate and natural grasslands rich in aromatic herbs. The flavour and aromas of the cheese generally change as you go from the rind to the heart. This is due to the different texture of the paste during maturation and to times and methods of moisture migration. Therefore in order to take in all the nuances of taste, it is necessary to cut it in the right size portions so as to capture them all. As for Pecorino Romano DOP cutting can be done in two ways: a specific cheese knife can be uses to enhance the granularity with its short and stubby blade, breaking it rather than cutting the cheese. Once the large cylindrical forms are split open, the cheese should be re-moved in flaky chunks. If you want to proceed in cutting wedges of cheese, once the wheel is split open use the cheese wire or a knife with a thick blade around 30 cm long. Once you have adjusted the position of the knife on the wheel, give the blade a strong and firm push from top to bottom with both hands: this will ensure precise cutting. 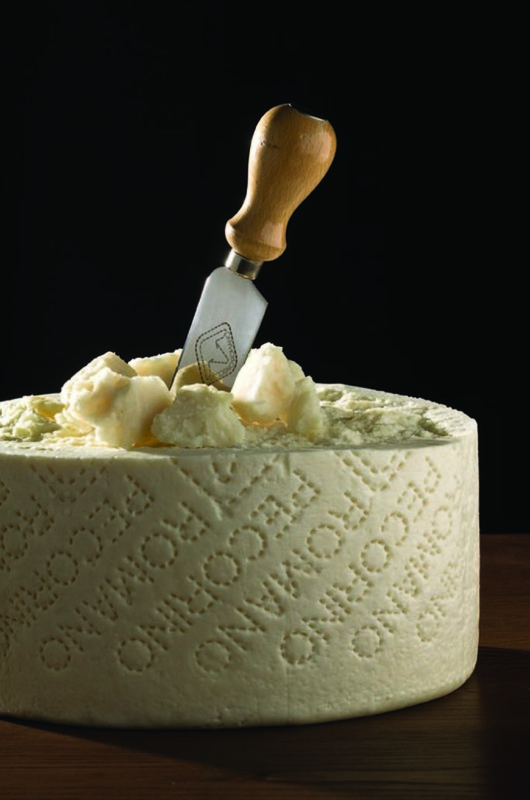 Pecorino Romano DOP won the Denomination of Origin in 1955 and the DOP recognition in 1996. Originally set up in 1979, the Consortium brings together producers in Sardinia, Lazio and the province of Grosseto, in Tuscany, and has the task of safeguarding and regulating the production of Pecorino Romano through the activities of its monitoring agents. The Consortium’s trademark seal is impressed on every wheel of cheese, together with the stamp that identifies the name of the individual producer.